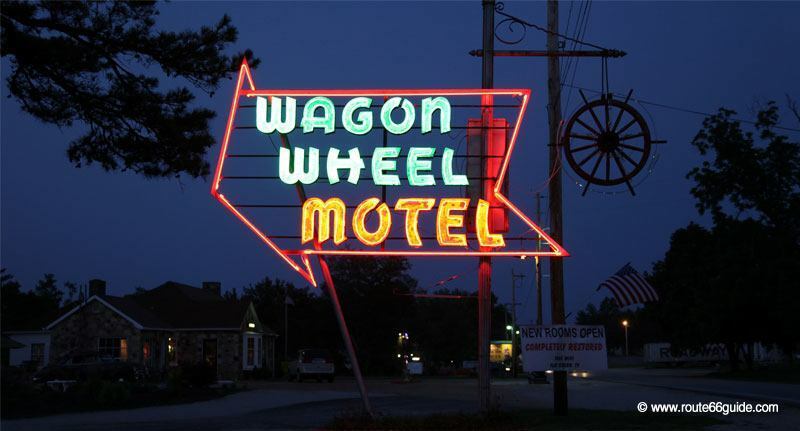 Above: Wagon Wheel Motel in Cuba, Missouri. Accommodation, usually a major budget item, has something good in store for you. 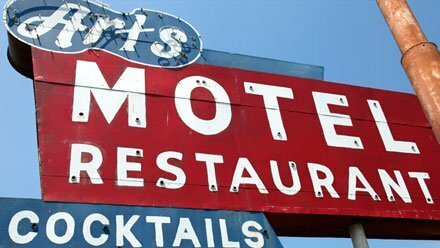 Along Route 66, hotels - especially the independent motels - offer rooms from $20! In general, your bill will set you back between $50 and $80. 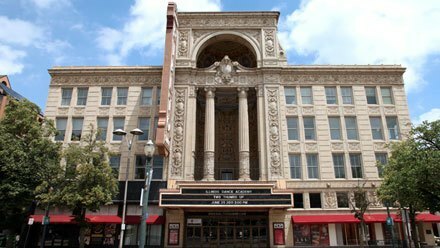 Hotel chains, seldom found along the historic route, gather along the Interstate and in the suburbs of major cities. Not surprisingly, even if hotel chains feel slightly less welcoming and more expensive than independent motels, they always deliver: the cleanliness and equipment operation is always impeccable... which unfortunately is not always the case for small, independent establishments. 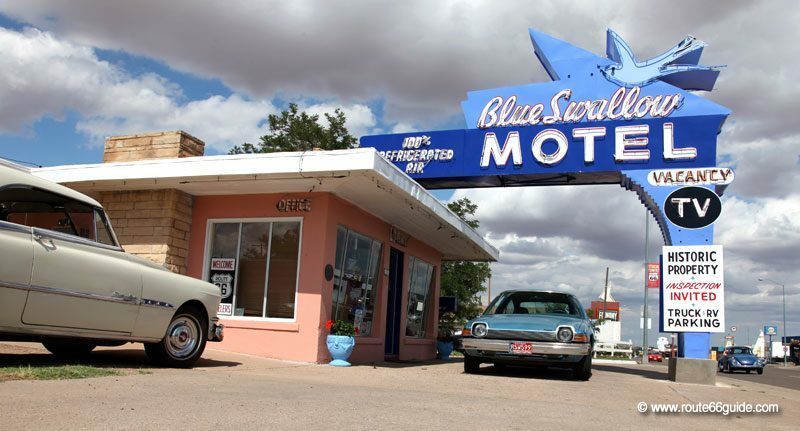 Above: Blue Swallow Motel in Tucumcari, New Mexico. 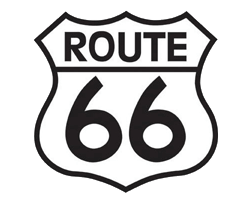 The "Route 66 Dining & Lodging" is the ultimate reference. 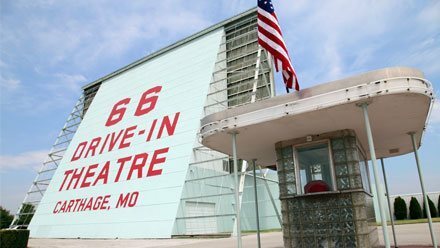 It pinpoints the best places to eat and sleep along Route 66 and is published by the "National Historic Route 66 Federation." See our "Books and travel guides" section.